Most information about Arabs in Canada is general; it seldom distinguishes those from Yemen from those from other Arabic speaking nations. Because Arabs have often been allowed into Canada as war refugees, there are many Yemeni Arabs who can come as refugees. Most Arabs in Canada live either in Ontario or Quebec. 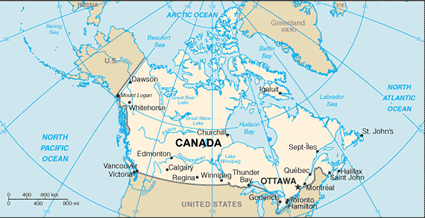 Within these two provinces, the Arabs live in the cities of Toronto or Montreal. North Yemeni Arabs do not tend to have their own separate settlements within these cities. A good percentage of Arabs who flee the Arabic-speaking countries are Christians. But in Yemen, there are almost no Christians. Almost all Yemeni Arabs are Muslims, though they tend to blend their Islam with other beliefs. Unlike Yemen where embracing Christ carries a heavy penalty, there is religious freedom in Canada. Believers can share their love for the Savior with these Muslims who have been taught that the Qur'an and the Hadith hold life's spiritual answers. Believers can help Yemenis with language and job skills. In the process, they have the chance to tell them about the spiritual answers that come from Jesus Christ. * Pray for the Lord to raise up people who will faithfully share the ways of Jesus with North Yemenis in Canada in a discreet, loving manner. * Pray for a move of the Holy Spirit that will give North Yemenis a willingness to embrace Jesus Christ as Lord and Savior, depending on Him alone for salvation. 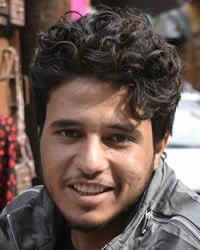 * Pray for a disciple making movement among North Yemenis in Canada that will spread to Yemen. http://www.statcan.gc.ca/pub/89-621-x/89-621-x2007009-eng.htmView Arab, Northern Yemeni in all countries.